The overall development of a child’s brain starts in the mother’s womb, and continues through to early adulthood. 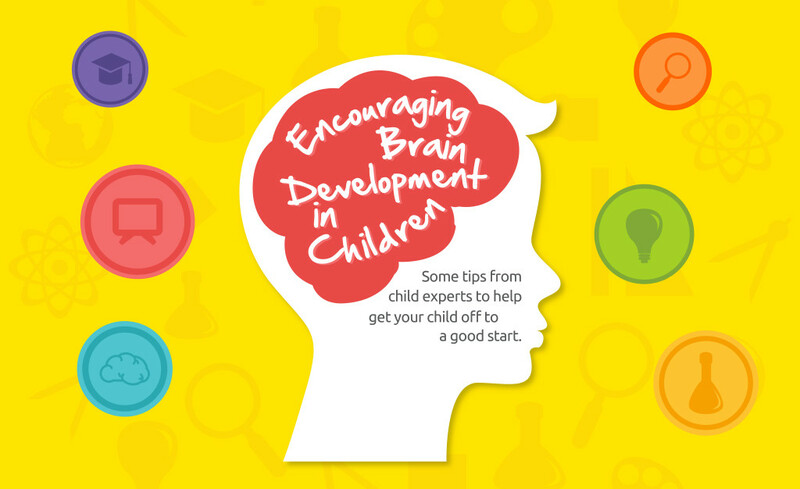 The early years are the most important as research suggests that 75% of the brain develops most rapidly in the first few years of a child’s life. This is a time when communication and language, thinking, emotion and confidence are all forming. It’s also a time when parents, who act as first teachers for the children, can help build those skills to ensure a brighter future for the child. Children’s early experiences and the bond they form with their parents has a deep effect in their future development as a person. Experiences, from your daily routine, to the people your child comes in contact with – everything will shape them. Develop a schedule that includes healthy habits, promotes learning and encourage behavior, which is positive to build their character and values, which equips them to live responsible, productive lives. When children play, they’re not just having fun; they’re developing their brain and learning new things from it. Engage them in games that exercise children’s imagination, from which they can learn a variety of skills. Develops thinking, planning, organizing and decision-making. Children are different and develop skills at different times. As parents, one should always motivate and encourage these unique skill sets. Children who feel secure and loved usually do better in school, are more self-confident and have good self-esteem. Positive interactions, motivation by parents, teachers and other children can promote a positive, healthy and secure view of themselves that will allow them to approach situations and problems confidently throughout their lives. Children need someone to look up to and learn from, and as a parent, you can lead by example. The examples set by adults, older siblings and other family members are the most powerful influences in shaping a child’s behavior and personality. Every time you talk, take an action or have a reaction to someone or something, your child is observing your behavior. They will then imbibe these habits as their own, so make sure you are confident, positive and kind around children. Inculcating these habits will have a great effect on how your child grows up to be, so let’s be aware, attentive and appreciate our little ones. Optimizing the early years of children’s lives is the best investment we can make in ensuring their future success. At UCMAS, our whole-brain development program builds foundational techniques in children that help them be more confident and focused. Along with strengthening mathematics UCMAS also enhances skills that are needed to be successful in the classroom as well as in life.